Emergency repairs are inevitable over the course of a roof’s life. Exposed to the elements for decades on end, your roof is under attack throughout its entire lifecycle. Unfortunately, most businesses don’t think about a roofing emergency until they experience one. Between getting the issue fixed immediately, dealing with insurance or warranties, and figuring out how you’re going to pay for the repairs, the process can eventually become a lot more stressful. 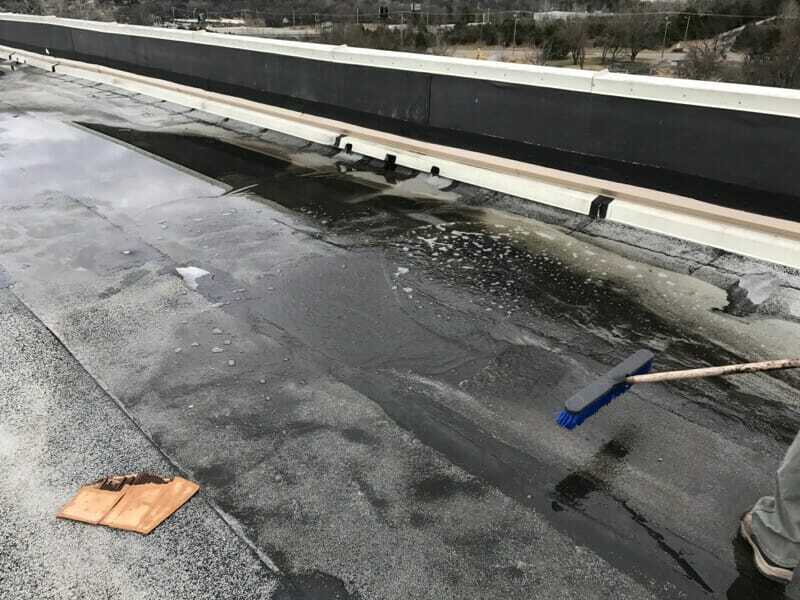 And, while you may not be able to prevent every commercial roofing emergency, there are ways you can make the process of dealing with them with much less burden or worry. The first step to address roof issues as they arise is to have an action plan before an emergency occurs. All emergency plans should work in conjunction with the building’s regular maintenance plan and include a project schedule, initial inspection procedure, a prioritized list of repairs, and a process for recording the emergency work. For many businesses, a roofing emergency can potentially seem more damaging to their bank accounts than the roofs themselves. Maxwell Roofing’s team works alongside our clients to consider capital budget strategies to proactively prepare for potential emergencies. We also educate them on the important things to consider when evaluating a commercial roof warranty. By taking these two ideas into consideration, the financial burden of an emergency roof repair won’t be an issue. The best defense against potential emergencies is a good offense. There are a few different ways we work to help our clients address potential emergencies before they become significant issues. Each commercial roof is weatherproofed based on specific factors and the unique structure, geography, and materials involved. Additionally, our Roof Monitor system keeps tabs on the conditions of the roof in the midst of damaging weather. Our Maxcare® program is designed to quickly address unexpected emergencies and also prevent small issues before they become big ones. Is Your Roof Adequately Protected from an Emergency? No one wants to think about the worst-case scenarios. However, proactively preparing can help you quickly resolve whatever emergency might occur without any stress or headaches. Taking time to implement these three ideas will ensure you’ll be in better shape if a roofing emergency arises. If you’re interested in learning exactly how we can help your business proactively prepare for a commercial roofing emergency, click here to contact us today. Our team of professionals is ready to assist.